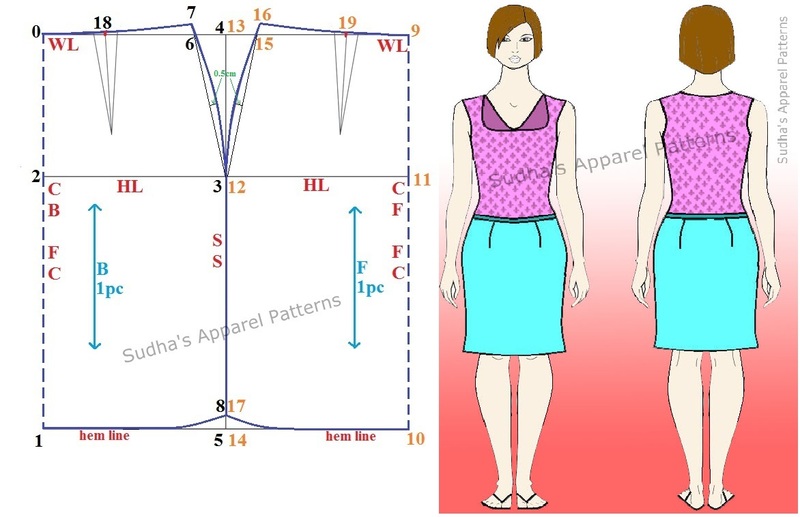 The Basic Skirt draft of women's wear explained in this post has two waist darts in Front and two at Back. These darts eliminate the extra ease / fullness of fabric and help to drape the fabric crease free on waist to hip section. Square down and right to 0. 2-3 = 1/4 Round hip + 1.5 cms. 0-4 & 1-5 = Same measurement as 2-3, square across each. Join 4-3-5 with straight line. 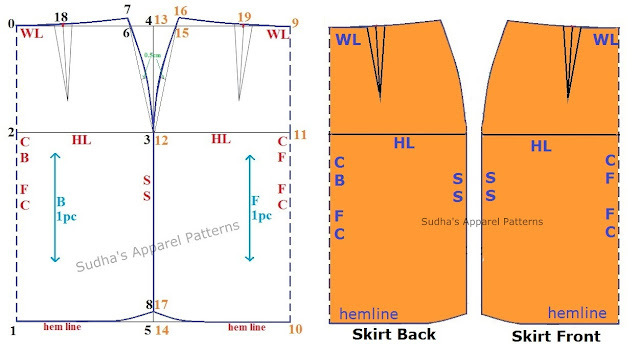 0-6 = 1/4 Round waist + 1 cm. Join 6-3-8 for side seam. 18 = Mark midpoint of 0-7, square down from this point with length of dart as 8 cms. Construct a dart of 1.5 cms. on point 18. Square down and left to 9. 11-12 = 1/4 Round hip + 2 cms. 9-13 & 10-14 = Same measurement as 11-12, square across each. Join 13-12-14 with straight line. 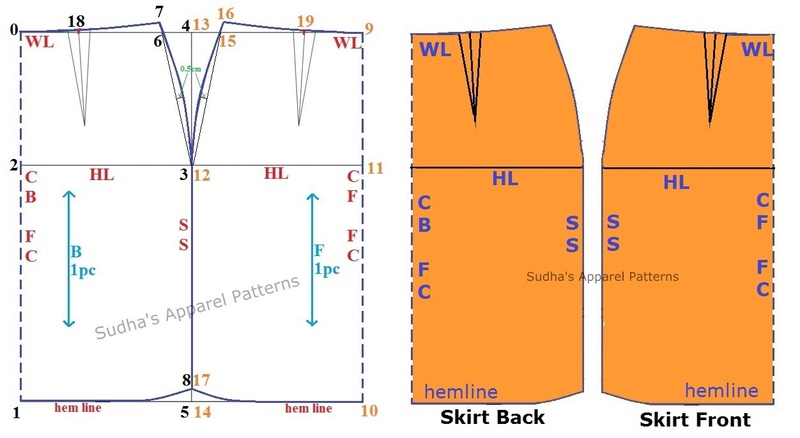 9-15 = 1/4 Round waist + 1.5 cms. Join 15-12-17 for side seam. 19 = Mark midpoint of 9-16, square down from this point with length of dart as 8 cms. Construct a dart of 1.5 cms. on point 19.
stitch any one side seam, wear this rough stitched pattern over your under garment and check its fitting. You can temporarily pin the other side unstitched side seam. Well, we all know that women are fashionate and they love shopping their clothes and more.